SCVHistory.com | Needham Ranch | Trammell Crow, Clarion to Build Phase 1 of Gate-King Industrial Park, 8-17-2017. Trammell Crow, Clarion to Build Phase 1 of Gate-King Industrial Park. 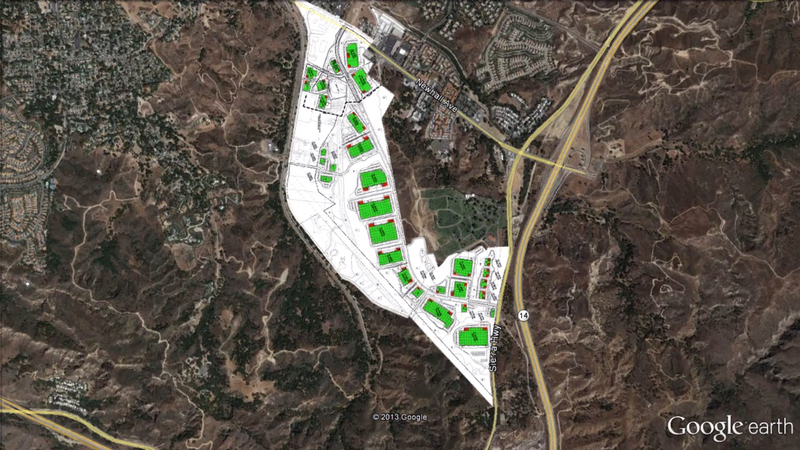 TCC and Clarion Partners to Develop 50-Acre Business Park in Santa Clarita. Phase 1 to include Seven Buildings, Totaling 869,760 Square Feet. 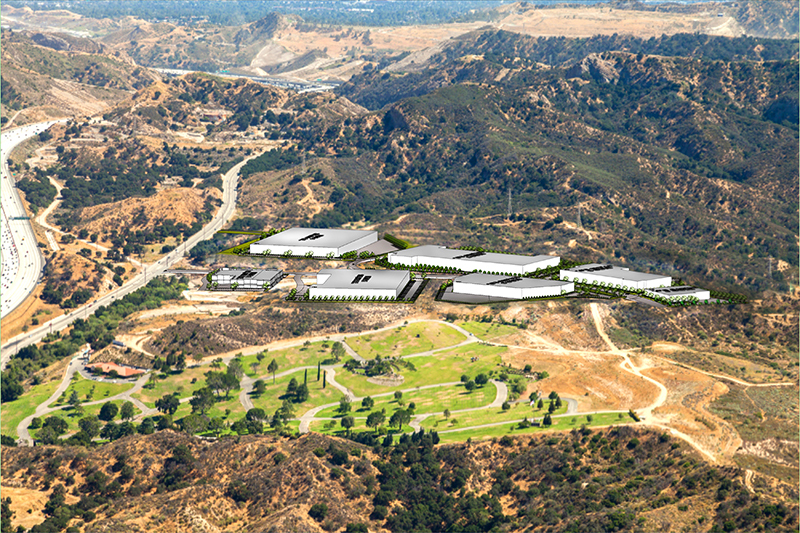 LOS ANGELES, CA — August 17, 2017 — Trammell Crow Company (TCC) and Clarion Partners are pleased to announce the acquisition of 54 acres of land for the development of The Center at Needham Ranch, a state-of-the-art business park in the City of Santa Clarita, CA. The project is the first phase of a larger 132-acre, fully entitled site approved for up to 4.2 million square feet of Class A industrial space. Phase 1 is scheduled to break ground in August 2017 and expected to begin deliveries during the Q3 2018. Phase 1 of The Center at Needham Ranch will comprise of an 869,760-square-foot, 7-building Class A industrial park offering buildings ranging from 34,270 to 210,560 square feet, situated in a unique natural park-like setting amidst abundant open space. The state-of-the-art buildings will feature 30-to-36-foot clear heights with ESFR fire sprinklers, abundant dock high loading and large truck courts and yard areas. "The City of Santa Clarita was recently named the most business-friendly city in Los Angeles County by the Los Angeles County Economic Development Corporation and is the premier location for business in this region," said John Balestra, Senior Vice President with TCC's SoCal — Los Angeles Business Unit. "There are many advantages to businesses operating in the City of Santa Clarita, including a lower cost of doing business, a tax incentive credit program, film and television production credits, and research and development tax credits. With a strategic location for manufacturing and distribution within the greater LA and Southern California regions and beyond, access to abundant skilled labor, and low crime and a high quality of life, we are excited to deliver a best-in-class project to the City of Santa Clarita community which at full build out will create thousands of employment opportunities for local residents." All 3 phases. Click for full view. "The Greater Los Angeles industrial market continues to benefit from steady tenant demand as virtually everything on the market attracted solid activity with vacancy throughout the northern region sitting at 1.1 percent, a historical low" according to Craig Peters of CBRE. 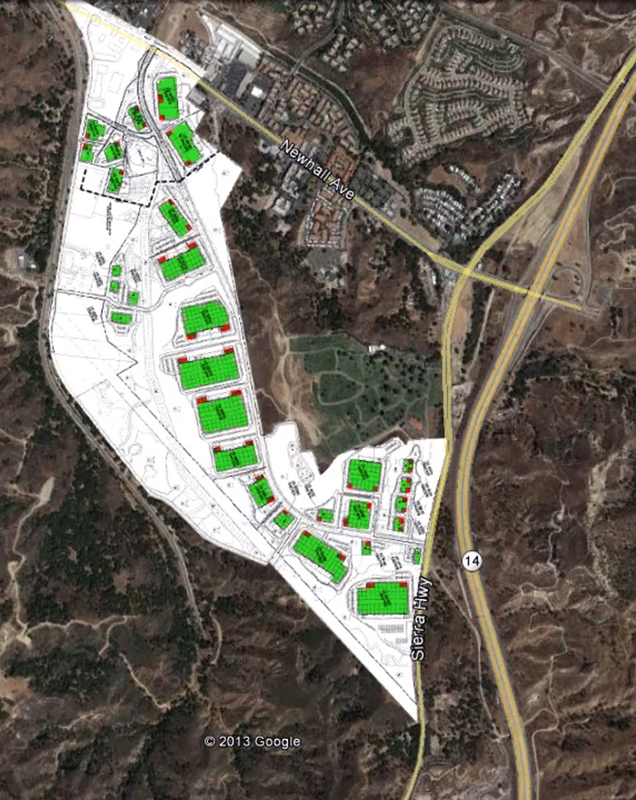 "The Center at Needham Ranch will provide a first-class business park in the southern end of the Santa Clarita Valley, which has limited available land for commercial development". CBRE's Peters and Doug Sonderegger are the leasing agents for the property. "The extreme supply-and-demand imbalance makes projects such as The Center at Needham Ranch attractive given the severe lack of supply, in particular for modern Class A space," according to Michael Marrone, Vice President at Clarion Partners. The Center at Needham Ranch is one of several projects launched as part of the national industrial development program established by the TCC/Clarion Partners venture. The program is focused on the development of new Class A, industrial buildings in targeted markets throughout the United States. Since 2001, Trammell Crow Company and Clarion Partners have partnered together on over 105 developments totaling more than 32 million square feet and $2.2 billion in investment. "This is an incredible site, strategically located with easy access to the San Fernando Valley, Burbank Airport, LAX, Downtown LA and the ports," said Philip Tsui, Vice President within TCC SoCal — Los Angeles. "It truly is the Center as there are nearly 5.3 million people living within a 30-minute commute from this site. It doesn't get much more central than that." The Center at Needham Ranch is located at the southern entrance to the City of Santa Clarita within one mile of the intersection of Interstate 5 and Highway 14, 30 miles from Downtown Los Angeles and 15 miles from Burbank Airport. The Project directly links to all areas within the San Fernando Valley and Greater Los Angeles County population centers and easily accessible from numerous major highways including the 5, 14, 405, 210, 118 and 126, in addition to Metrolink access via the Newhall Station in close proximity. Plans for Phase 2 are underway to include additional speculative industrial space and build-to-suit sites for industrial, office and research and development facilities up to 400,000 square feet. Trammell Crow Company (TCC), founded in 1948, is one of the nation's leading developers and investors in commercial real estate. The Company has developed or acquired more than 2,600 buildings valued at more than $60 billion and over 565 million square feet. As of March 31, 2017, TCC had $5.1 billion of projects in process and $5.9 billion in its pipeline. Trammell Crow Company's teams are dedicated to building value for its clients with professionals in 16 major cities throughout the United States. The company serves users of and investors in office, industrial, retail, healthcare, multi-family residential, through its operating subsidiary High Street Residential and mixed use projects. For those who occupy real estate, TCC can execute the development or acquisition of facilities tailored to meet its clients' needs. For investor clients, the company specializes in joint venture speculative development, acquisition/re-development ventures, build-to-suit development or providing incentive-based fee development services. TCC is an independently operated subsidiary of CBRE Group, Inc. (NYSE:CBG), a Fortune 500 and S&P 500 company headquartered in Los Angeles, and the world's largest commercial real estate services and investment firm (in terms of 2016 revenue). For more information visit www.TrammellCrow.com. Clarion Partners, an SEC registered investment adviser with FCA-authorized and FINRA member affiliates, has been a leading U.S. real estate investment manager for more than 35 years. Headquartered in New York, the firm has offices in Atlanta, Boston, Dallas, London, Los Angeles, São Paulo, Seattle and Washington, DC. With more than $43 billion in total assets under management, Clarion Partners offers a broad range of real estate strategies across the risk/return spectrum to its 250 domestic and international institutional investors. More information about the firm is available at www.clarionpartners.com. Drone video of project area, Oltmans Construction Co., July 2017.